Choosing an attorney that has your best interest in mind can be difficult. Massey’s wants to help make the process as easy as possible for you. 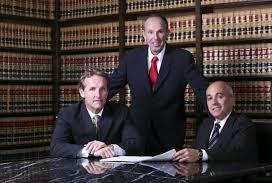 Below you will find a list of proven attorney’s in Provo. Contact a Provo Utah Criminal Attorneys and let them work on your individual case today!! Who better to ask for a referral to a criminal attorney than a Utah Bail bond Company. We see the outcome of a case, who the attorney was as well as the verdict. You can trust that any referral from Massey’s Bail Bonds are professional!